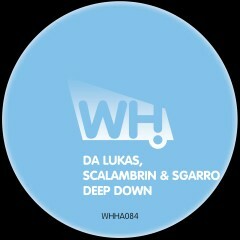 Da Lukas returns to What Happens and this time in association with Scalambrin & Sgarro. The Club Mix is a deep percussion-driven affair with tuff crispy drums topped with stabs, pads and the vocal hook. Meanwhile the dub offers a lush and dreamy soundscape proving the guys are on top of their game.